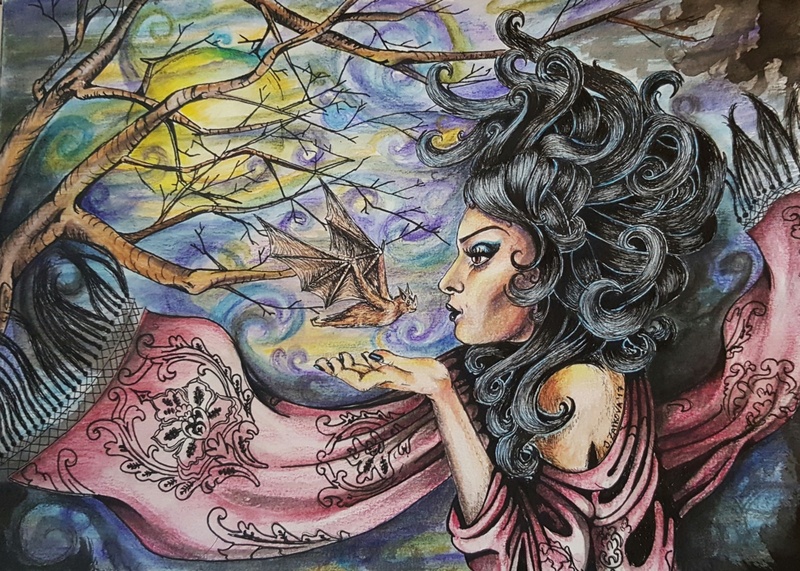 A mixed media drawing using Derwent Inktense pencils, Prismacolor verithin coloured pencils, micron liner pens, and India ink. I've always loved bats and old twisted trees. I thought I'd draw something cute.